Located on a working sheep farm in central western Alberta. All linens, towels, dishes & bedding provided. The guest chalet is comprised of two suites, upper & lower, joined by exterior stairs, and may be rented separately or together. Open year round, Hidden Springs invites guests to relax & rest in a beautiful countryside setting. 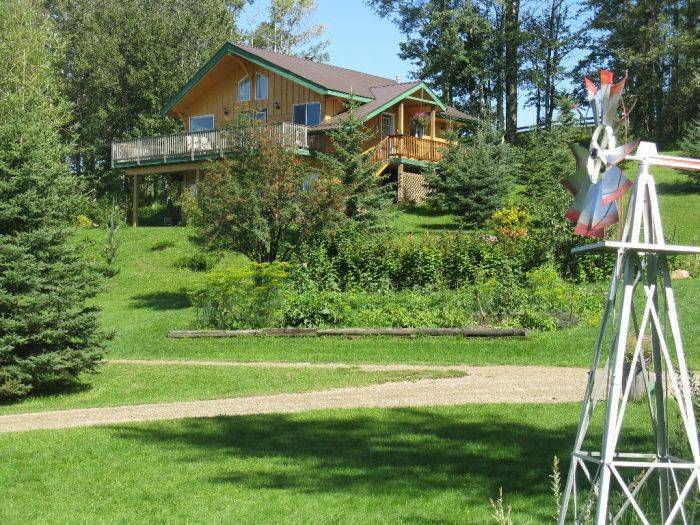 Recreational activities nearby include: winter: 5 kms of groomed cross-country ski track right on the property. Spring features up-close- & personal time in the lambing barn. Summer- walking trails, nearby Twin Lakes for swimming. Fall- canoeing late into the season. Wood-fired Finnish Style Sauna located on property. The guest chalet is comprised of two suites, upper & lower, joined by exterior stairs, and may be rented separately or together. 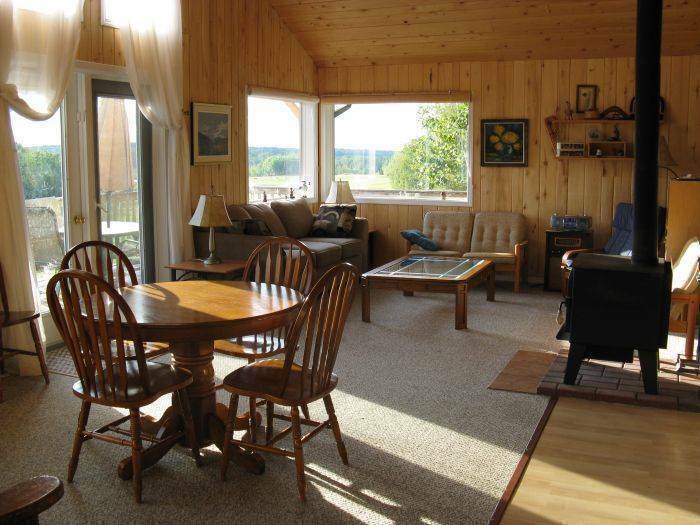 Upper suite has full kitchen, wrap-around deck, wood burning heater. Sleeps 4. Lower suite has kitchenette, TV room, patio, laundry facilities. Sleeps 6. Both have barbeques, queen bedroom, full bathrooms, microwave, fridge. Hidden Springs is located in the rolling hill country west of Pigeon Lake. Off-season midweek discounts apply from September through May. 50 kms west of Q-E II on Highway 13 to Range Road 32; 1 km north.